Now that the holidays are here, I find myself eating and serving things that are festive nearly daily. I want to get out the Santa dishes and do all my easy holiday recipes for entertaining. 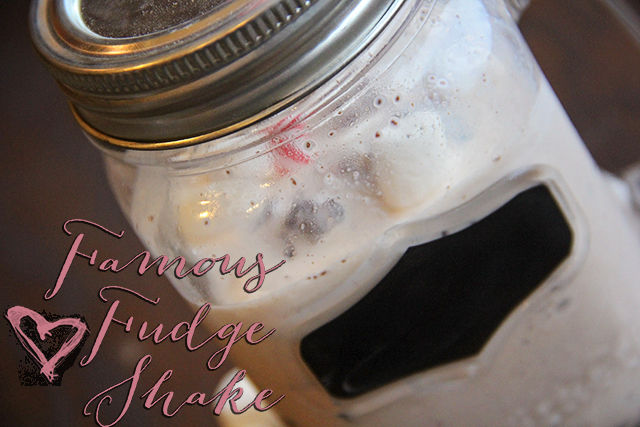 My hubby has a huge sweet tooth, and so do I honestly, which is why I find my fudge shake recipe using Nestlé Carnation Famous Fudge Kit perfect for this time of year! This was so easy to make. First, I went to Walmart. I rarely have the opportunity to shop alone, and the day I went I had both girls. 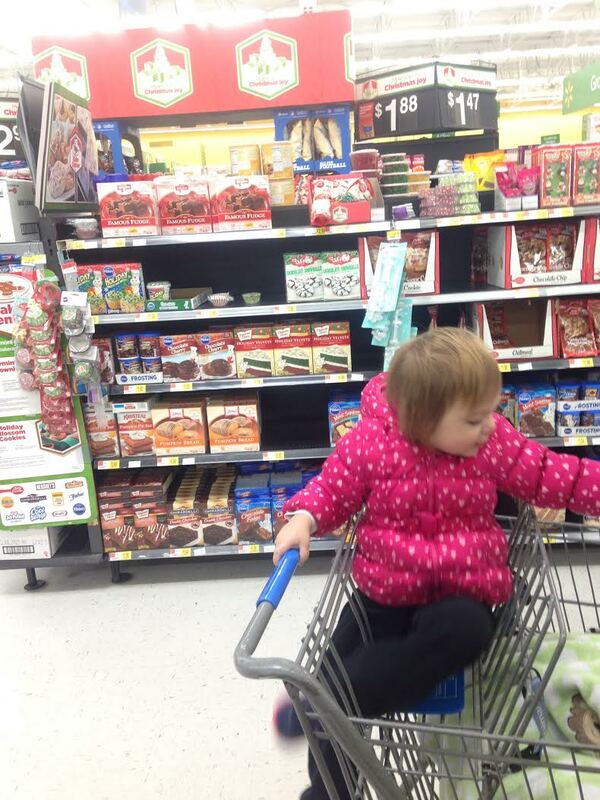 Can I just leave a plug for Walmart that their carts are car seat compatible, and if you have two kids with you, you can still fit them in the cart? They are the ONLY grocery store in my area that has the right type of carts. Makes my shopping trip SO much easier when I can fit them both in there. Anyway, they had the Famous Fudge Kit in the center of the aisle between the clothing and the groceries. 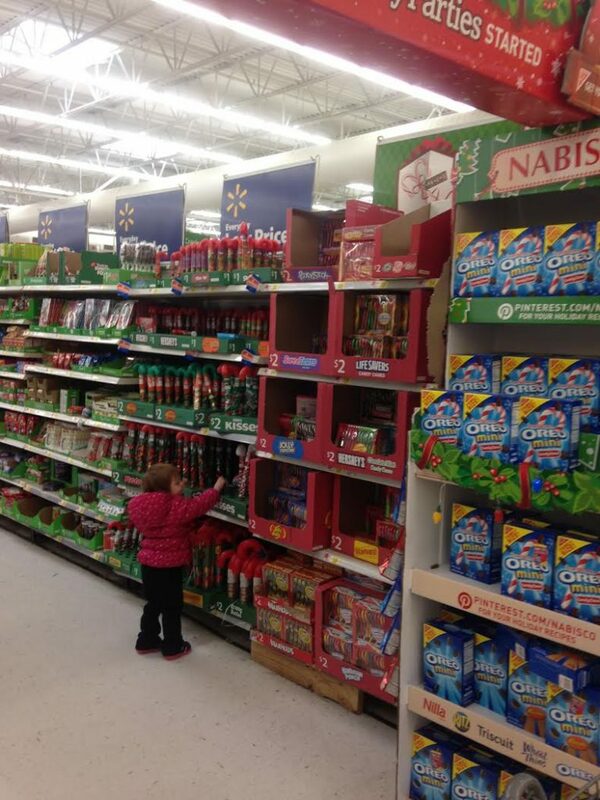 I couldn’t find the Wonka Sweetarts Candy Canes right off the bat, but leave it to the toddler to find the Christmas candy aisle. She literally said “Down! Down!” and crawled down out of the cart and scurried over to the candy aisle. We may or may not have left with a bunch of stuff we didn’t need! I had good intentions of gifting some of the items she pulled down from the shelves, but as of this post, most of the candy has been consumed. If you’re anything like we are, you know that the cookie dough doesn’t always make it into the actual physical cookies before being eaten. We’re kind of the same way with any desserts. I always have good intentions of making something but it doesn’t always end up getting there if it’s something I can eat straight from the packaging. The Famous Fudge Kit is a good example. Inside is everything you need to make 1.5 pounds of delicious fudge! Or in this case, many delicious shakes. I opened it up and needed little else to make a yummy treat! And I Instagrammed it, because if you don’t put it on Instagram, it never happened. 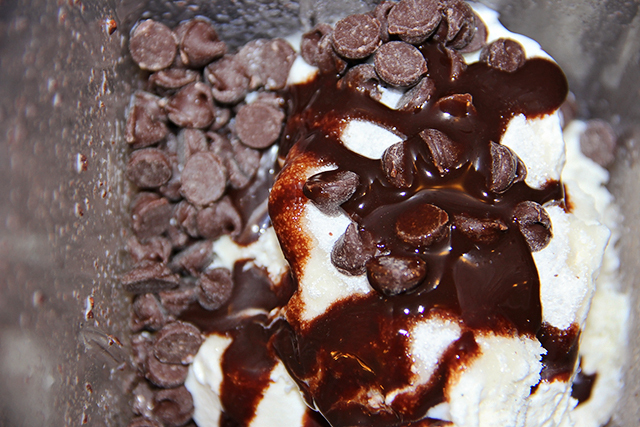 6 scoops of ice cream, 2 tablespoons of the sugar mix, a bit of chocolate syrup, and 1/8 cup of the chocolate chips. If you are working with super hard ice cream, you might also add a bit of milk. I garnished the finished product with some marshmallows, also found in the kit! I couldn’t resist using a mason jar mug to serve this. I love the chalkboard label too. The only thing is it’s hard to write on when there’s something cold in the jar because the condensation deletes the text. It’s all good though. If I was going to write on it, I’d write yum! I also garnished my shake with a little Sweetart Candy Cane that I found, also at Walmart. I find these to be very tart, while the shake is decadent and sweet. It’s a good way to mix flavors. The candy canes come in a pack of three tangy, fruity flavors, including Blue Punch, Green Apple and Cherry. Nom! 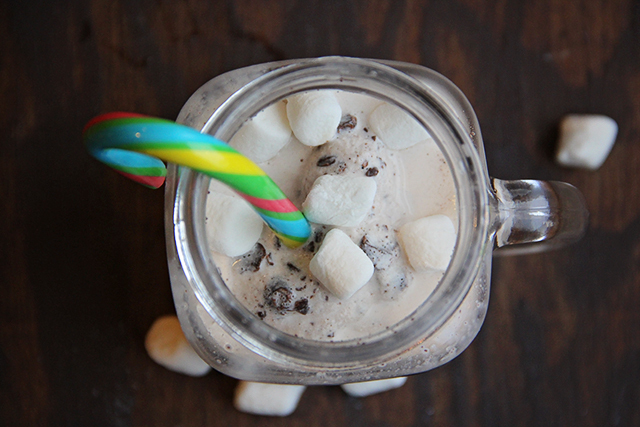 Do you have any holiday shakes you make that are similar to this? Next time I’m going to try actually making the fudge! This sounds so freaking delicious! 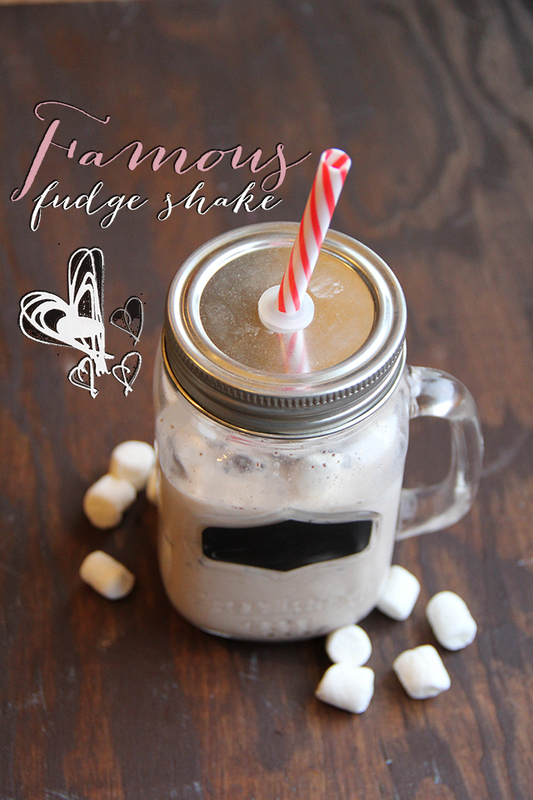 Ok, I need one of your famous fudge shakes! This looks so good. I’m unable to handle the drool right now. I’m going to need a gallon of this! This sounds SO FREAKING GOOD.